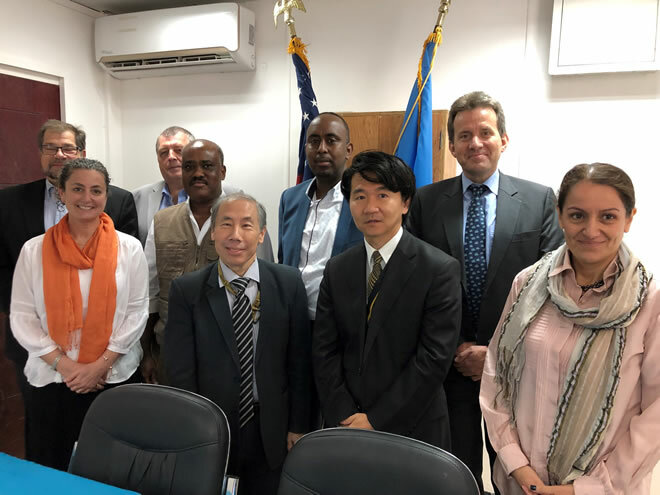 MOGADISHU – US Ambassador to Somalia Donald Y. Yamamoto held a roundtable discussion with organizations that work with the people and government of Somalia to overcome humanitarian crises. Joining Ambassador Yamamoto were representatives from: UN World Food Program, UN Food and Agriculture Organization, UNICEF, Mercy Corps, International Medical Corps, UNHCR, and IOM. Each expressed commitment to promoting resilience in Somali communities so that future humanitarian crises can be averted.